Another positive aspect of January’s performance is the supply of new properties that came to market. In January, 9,456 new properties became available to buyers. This is a favourable 10.5 percent increase compared to the 8,561 new listings that became available last year. Entering February, active listings were slightly higher than last year. February began with 11,962 active listings compared to the 11,894 available last year. The bulk of these listings are located in the 905 region. OF the 11,962 active listings, 8,387, or more than 70 percent, are located in the 905 region. January’s average sale price came in at $748,328, an increase of almost 2 percent compared to last year’s average sale price of $735,874. This is exactly the kind of increase that reflects a stable and sound market, not the double-digit monthly increases that became commonplace in 2016 and early 2017. Double-digit increases in average sale prices become unsustainable and unfortunately can lead to painful corrections. In this regard, Toronto’s high-end residential market continues to adjust. In January, 76 properties having a sale price of $2 million or more were reported sold. This compared to 90 reported sold during the same period last year. The adjustment is also evident in the sale price to listing ratio witnessed in January. Detached properties in Toronto’s central districts are the most expensive properties in the Greater Toronto Area. All detached properties in these districts sold for 95 percent of their asking price. This ratio was much lower than the detached properties in other trading districts. For example, all detached properties in Toronto’s eastern districts sold for 100 percent of their asking price. The fact that the average sale price in the eastern districts is half ($916,588) that of the central districts ($1,938,617) is no doubt responsible for this divergence. Higher-end properties accelerated more dramatically during the pre-2017 introduction of the Ontario Fair Housing Plan and are retracting proportionally, especially with the introduction of the 15 percent foreign buyers’ tax. Although it is a little early in the year to be forecasting for 2019, January’s results – sales volumes, price increases and increases in supply – all point to a healthy 2019. Last year only 77,375 residential properties were reported sold, the lowest number since the recession of 2008. Barring any unexpected economic events this year, we should see between 83,000 and 85,000 reported sales, with average sale prices increasing by about 2-3 percent. January’s average sale price came in at $748,328. Last year’s annual average sale price was $787,000. By year-end, Toronto and area’s average sale price should be approximately $800,000. From a long-term sustainability prospect, we should be thrilled with this number. Despite the pressures of increasing interest rates and the new stress tests, the Toronto real estate market remains relatively stable, with more modest increases in price relative to the peak of the market in 2017. Which is great if you’re already in that market. But what about those buyers who can’t quite afford Toronto prices or those looking to invest in a less expensive property? You can buy twice the house in Hamilton for about half the price of Toronto. Lots of opportunities to buy into the housing market at affordable prices and raise a family in a safe and wonderful neighbourhood. With the introduction of more Go Trains to make it easier to get to Toronto, Hamilton is on the rise. Internally the city is also adding bus service as well as looking to introduce an LRT going east to west in the city. The job sector is thriving with an increase of jobs in Education (McMaster University and Mohawk College), Medical Institutions (McMaster Medical School and Teaching Hospital, Juravinski Cancer Centre, St Joseph’s Hospital) and over 300 Research Facilities in the area in Medicine, Tech and Agriculture. Hamilton has seen a surge in fine Restaurants such as Brux House and Mattson & Co. on Locke St., a thriving local Organic Farming scene (Fernwood Farms and Lindley’s Farms) , a vibrant Art and Music scene (Hamilton Art Gallery, James St. North and Ottawa Street). Hamilton is surrounded by some of the most beautiful scenery and amazing views in Ontario with the famous Niagara Escarpment and the Bruce Trail. There are dozens of walking trails and water falls (Webster Falls, Tiffany Falls, Albion Falls) conservation areas and the famous Royal Botanical Gardens in the area. A revitalization of the waterfront is also in the works. Easy access to the entire Niagara Peninsula with it’s famous wine region and wineries, great views of Lake Ontario and of course Niagara Falls - all make this a world-renowned tourist destination. Hamilton has great access to both Toronto and Niagara Falls as well as Buffalo with easy access to several airports; Hamilton Airport, Pearson International, Billy Bishop and Buffalo Niagara International Airport. “Hamilton is unstoppable," gushed a city news release from The Hamilton Spectator, which included a quote from Mayor Fred Eisenberger boasting that Hamilton has "the most diversified economy in Canada, with sectors including health care, manufacturing and agribusiness — that are helping to drive Hamilton's economy and create new opportunities for employment." If you’re looking for a great place to raise a family in a more affordable and potentially peaceful environment, with great access to some wonderful amenities and great infrastructure, Hamilton might be for you. We have a great listing with income potential in Hamilton. Give us a call for more information. As the days get longer and the weather hotter, the Toronto housing market seems to be taking some pause. The month of May saw modest gains in the average sale price but a closer inspection of the numbers shows there's still a fracture between our neighbours in the GTA and the City proper. As usual, we got our President and CEO, Chris Kapches' take on what's happened over the month. Text version below or hit the link to check out the YouTube video. The data emerging from the 905 region is not as impressive. Notwithstanding the size of the 905 region, only 60 percent of all reported sales (7,834) took place in the region. The average sale price of $805,320 was more than $55,000 lower than the average sale price of $861,970 achieved in the City of Toronto. If you've been following our blog or social media pages, you'll know that we've been keeping a close eye on what's been happening in Toronto proper since at least October of this year. Since that time, we've been signalling the shifts in the market. To give you an overview of how far we've come since last years dizzying highs and not so nice lows, we've provided a chart of the average sale price in the City of Toronto (not the GTA) so you can see how close we are to being back into positive territory. The words of the month for April was recovery and supply. In the City of Toronto, we're seeing numbers coming closer and closer to last year's all time highs due to a lack of supply in many areas of the city. But we're not quite there yet, and appear to be only entering our recovery phase from last year's correction. Our President and CEO Chris Kapches breaks it down below; check out the video or read along. 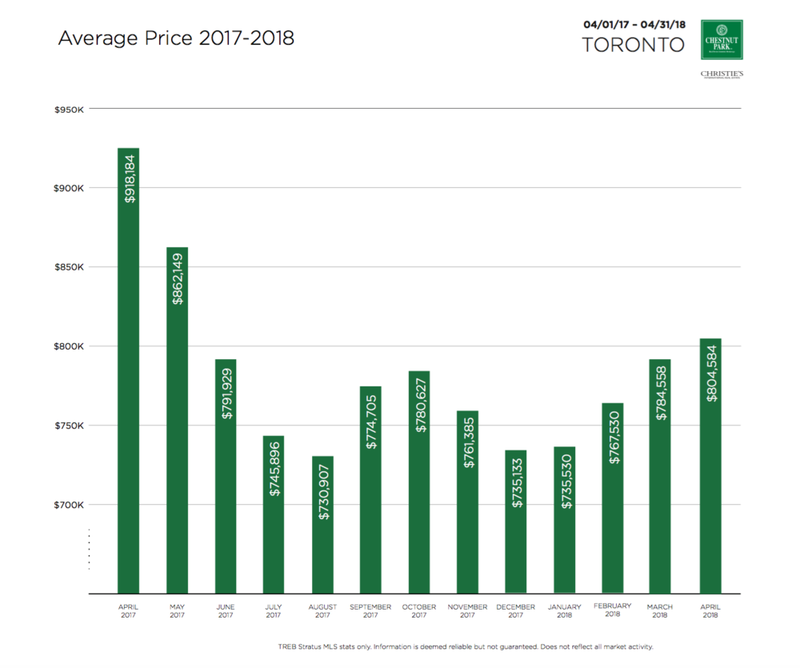 Be sure however to check out the chart of the average sale prices for the GTA from the past year, so you can get a sense of where we've been over the last year and where we appear to be headed. The Toronto and area residential resale market continued its recovery in April. For the fourth consecutive month, the market has shown improvement in both the growth of average sale prices and the number of properties reported sold. In April 7,792 residential properties were reported sold, and the average sale price for all properties reported sold in the Greater Toronto Area came in at $804,584. In January, the average sale price had slumped to $735,754. In four months, Toronto’s average sale price has increased by almost 10 percent. 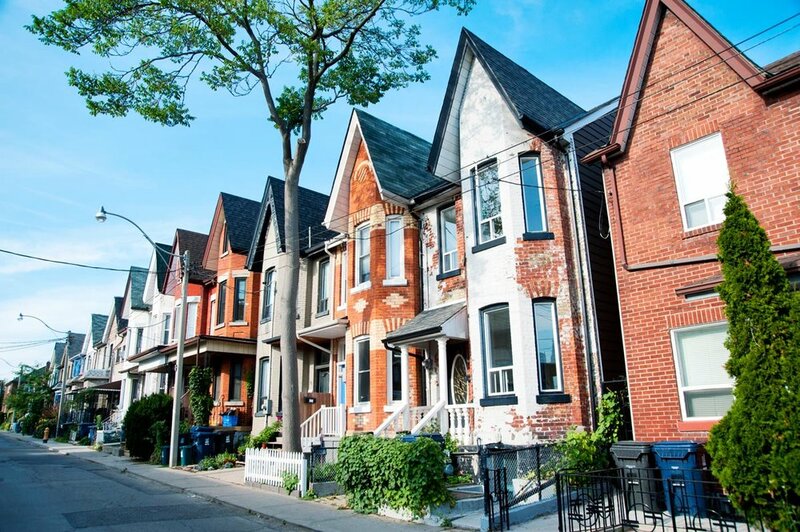 The market has not recovered to where it was in April 2017, but it is showing signs that it might, particularly in the City of Toronto (416 region). The reason for this recovery is obvious. The fundamentals that drove the frenzied early 2017 resale market are unchanged: strong employment numbers, a growing economy, migration to the greater Toronto area, and insufficient inventory to meet buyer demand. With more than 100,000 people migrating to the Toronto area annually, the supply-demand scenario is no longer in balance. It’s a testament to the strength of the Toronto resale market that it has continued to recover notwithstanding three mortgage interest rate hikes and new more rigid stress testing for mortgage qualification. In the City of Toronto, the average sale price came in at $865,817 for all types of properties sold, including condominium apartments. The cost of a detached property rose to $1,354,719, while semi-detached homes came in at $1,021,986. These numbers are starting to approach the numbers that the market was producing last year. Year-over-year sale volumes are down by 34 and 16 percent respectively, but in the case of semi-detached properties, this is a product of supply and not demand. In some of Toronto’s trading area, there were no reported sales of semi-detached properties. That’s because there were no listed properties for buyers to buy. The strength of the market is profoundly demonstrated by the short time periods that detached and semi-detached properties remained on the market. All detached properties sold in only 17 days and for an amazing 101 percent of their asking price. All semi-detached properties sold in an eye-popping 13 days and for a startling 106 percent of their asking price. These numbers are only slightly short of what was happening last year. Condominium apartment prices have risen consistently, even through the downturn in the market following the announcement of the Ontario Fair Housing Plan in April of last year. In April, and for the first time, the average sale price for all condominium apartments sold exceeded $600,000 coming in at $601,211. In Toronto’s central core, where more than 67 percent of all sales take place, the average sale price reached $667,345. Toronto’s most affordable housing form is rapidly becoming less affordable. Not only did condominium apartments sell with growing average sale prices, but they all sold in only 16 days and at 101 percent of their asking price. In the central core, they also sold at 101 percent of their asking price and in only 15 days. Condominium Apartment sale prices are, like other housing forms, being driven by a severe lack of supply. At the end of April, there were only 2,130 apartments available to buyers, a little more than one month’s supply. Last year at the height of Toronto’s frenzied market there were 2509 condominium apartments on the market, a year-over-year decline of available inventory of more than 15 percent. The high-end market has been the only laggard in Toronto’s resale market. Year-to-date only 600 properties having a sale price of $2 Million or more have been reported sold. Last year 2221 had been reported sold, a decline of more than 73 percent. This market sector is, however, also improving. In April the negative variance, as compared to last April, was only 48 percent. The Toronto and area marketplace is beginning to send out two powerful messages. Firstly, the foreign buyer’s tax that was part of the Ontario Fair Housing Plan was directed towards a non-existent enemy. There were no hordes of foreign buyers buying Toronto real estate. There were no barbarians at the gate. That has been subsequently verified by not only the provincial government but by other sources, namely the Toronto Real Estate Board and CMHC. Secondly, the Toronto resale market is being driven by local, domestic forces. That being the case, governments should abandon any attempt to engineer the marketplace and focus on measures that will help the increase of supply. We've got the recap in video format again and straight from the horses mouth! In this case, the horse in question is CP's President, CEO and Broker of Record, Chris Kapches LLB. In this video Chris analyses the Toronto housing market for February and discusses how there is more than is being reported by press headlines. - The market is currently quite "fractured" and isn't doing as well as last year. BUT, last year's market was operating in a "state of delirium"
- Variances in average sale price year over year will remain negative until we get to April/May when, as of last year, the government instituted the fair housing plan and the large market correction transpired. - Inventory remains low within the 416 area code (which is to say The City of Toronto), particularly in the case of condo apartments. Chris considers the condo market to be in "crisis" at the moment. - The inventory issues have resulted in some well priced, "turn-key" homes in the 416 having exceedingly high numbers of offers on them. - Year over year price declines in the 905 have continued to paint a negative picture of Toronto's overall market conditions despite the 416's average sale price rising since the correction. - Foreign buyer's tax and other government fair housing legislature has effected the 905 market place more than the 416, resulting in an skewed perspective on the overall GTA market. - Concerns going forward are that the lack of inventory and the continued demand may result in escalating prices in the 416 area code. - High-priced homes, ie. houses over $2M or more have declined by 67% from February 2017. That disparity has driven the average sale price down dramatically. We took a two week hiatus from the weekly meeting posts as last week both Chris and Richard Stewart (on-staff lawyer) were away and the week previous, there was very little news of relevance beyond to us Realtors and Brokers. We began this week as usual; with a few stats. If you don't receive our monthly market reports, you can see the latest infographic along with Chris' comments on our blog here. Additionally, new data for this week is beginning to show the real discrepancy in the year over year statistics. With just over 1,100 properties sold so far this month, Chris expects this number to go to 2,200-2,300 by the end of the month; down 24% from February 2017. Though this reads dramatically, it should be restated that early 2017 saw the highest inventory and sales averages Toronto has ever seen, so it's not an overstatement to say that the market was inflated. That being said, this years numbers represent a more sustainable level of inventory. The primary reason for this decline outside of previous market data is that detached properties aren’t selling nearly as much as semi-detached and condominium apartments. As reported in the Market Update, the number of $2M properties sold is also down, and the average sale price in the 416 is still around $750,000 where last year's was almost $850,000. No doubt up until May, when prices began to correct, we'll see lots of negative press about this, but the larger story is that the market is still going through a correction to achieving more sustainable numbers and that the 416 area is still experiencing growth, albeit at a slower pace. The Canada Mortgage and Housing Corporation doesn't share our modestly positive viewpoint on the Toronto real estate market. It's latest Housing Market Assessment says markets like Toronto, Hamilton, Victoria and Vancouver are still being overvalued and are vulnerable to further price corrections. The report takes into account economic fundamentals such as personal disposable income and population growth, as well as price acceleration as it's indicators for the valuation. House prices in Calgary, Edmonton, Saskatoon and Regina appear broadly in line with fundamentals, but strong evidence of overbuilding is still observable. It was announced a couple weeks back that as of April 30th, 2018, a new standardized lease agreement for all rentals in Ontario will become mandatory. This new document will not be retroactive but will be required for anyone wishing to lease a residential property on or after April 30th. The new form virtually negates the use of any existing OREA Offer to Lease forms which could otherwise detail conditions that would contribute to the final lease document. Though the details are not 100% clear at this point, we expect that the new form will either be used as a schedule to an offer to lease or function as the primary document to facilitate the lease agreement. More information, as well as a link to the document itself, can be found on the Government of Ontario website. LIKE WHAT YOU SEE? Please send us an email or leave a comment and let us know! Better yet, subscribe to our email list to get weekly updates and monthly reports. As we typically do, we began this week's meeting with an update of the Toronto (read 416 area code) stats. Though the media is reporting on most negative aspects of the market, this last week (Jan 22 - 29th) saw the best sales average for the month of January at about $759,000. That makes the current average sale price for the month around $736,000, up 1.2% since last year. Despite prices having begun to sky rocket in January of last year, we're still seeing increases in the average sale price. Inventory, or lack thereof, seems to be the primary contributor to these price increases; especially in the condominium apartment market. The number of sales in total is down by about 20-25% from January 2017. The 905 hasn't faired as well. Though condo sales are also leading the way in both sales and prices, they are still down overall from last year; 8% from April to Jan. 1. Freehold properties are doing even worse dropping 20% since April 2017. Despite the new stress test rules, some condo owners may do well to attempt to get into the freehold market now, while demand for condos is high and freehold prices are softened. Speaking of stress testing, Karlee Kusnierczyk from Hanley Mortgage Group stopped by to discuss the current climate of the mortgage market under the new stress test rules. They did a random sampling of 50 clients looking to renew their mortgage and found that 15% of those clients wouldn't have qualified for the fixed rate they obtained 5 years ago under the new stress test. Karlee stated that if a larger sample size was used, she estimates that number would have gone up to 20%. This falls in line with what many economists predicted the stress test would impact. Karlee felt that this wouldn't take people out of a buying position so much as it would knock their price point down. Anyone needing to renew their mortgage is likely best to stick with their current lender, as any new lender will use the new stress test rules for qualification, effectively making shopping around a moot point. Though it's not well advertised by the city, landlords should be aware that if they apply for a reduction in property taxes and the reassessment results in a reduction of 2.49% or more, their tenants have the right to seek an adjustment to their monthly rental amount. The City of Toronto website details the calculations for this law. I expect that most new landlords, and likely many seasoned landlords are unaware of this law, so it's important to be aware of. Though the reassessment might only result in a 1-3% reduction in monthly rental income, new landlords may depend on those amounts to keep their investment sound, so it's good to know it's at least on the table for landlords. It's not clear as to how the city knows when the property is being rented but the rule nevertheless applies. Don't just be a spectator on the sidelines of the real estate market. Contact us today to formulate a game plan! We love helping our clients determine their next best steps to real estate joy. Email us here or contact us at 416-925-9191. NOTES FROM THE PRESIDENT: The 1st Weekly CP Meeting Recap of 2018! Happy New Year! We are continuing the initiative started last year. Each week The Glenn Team provide highlights from the weekly CP office meeting to provide a balanced overview of the Toronto and GTA markets and relevant issues affecting real estate markets. Meetings are overseen by Chestnut Park's CEO and Broker of Record, Chris Kapches, LLB, who provides weekly analysis and commentary. Additional input is provided by the CP Toronto office Realtors who give a day to day, real life perspective of the local markets. To begin this recap, we have a recap! Chris thought it best to review some of what affected 2017's market as we go into 2018. Canada was the top performing country in the G7 with an annual growth rate of 3%. Consumer activity drove the majority of growth throughout the year; though is expected to slow in 2018. Economists are estimating anywhere b/w 2-5%, with 2% being the more realistic expectation. Unemployment is now below 6% nationally having created around 79,000 jobs, but Canada is still behind the U.S. (4.1%), Japan (2.8%), Germany (3.6%) and the U.K. (4.2%); there is anticipation those unemployment numbers will continue to drop. The downside there is that lower unemployment will lead to hikes in Interest rates. Canada is currently the most indebted nation in the world, with 170% debt to household income, so some adjustment to prices in the housing market would be helpful to most. There is another rate hike by the Bank of Canada anticipated and the new stress test has officially been implemented. Given both of those factors, some economists speculate about 10% of the buyers in Toronto to drop out of the market. Chris doesn't share this sentiment given many buyers have had to qualify at the stress test rates prior to January 1st. The new stress test is unlikely to impact housing volume but likely will impact sale prices. If a buyer with 20% down was approved at $800K in 2017, the same buyer today may only be able to get $650K. Buyers may start offering less for less or seller’s may find they need to lower their price point, but anyone purchasing properties over $1.5M are unlikely to be affected given the downpayment required for such properties. What IS likely to be affected is the condo market, as condos remain the most affordable property on the market, regardless of lack of inventory. Uncertainties that for 2018 include NAFTA talks and the upcoming election in Ontario. Both will play key roles in shaping the economy and subsequently, our housing market. Overall, however Chris felt that there was nothing seriously bad on the horizon for the housing market this year but given it is a year of uncertainty in certain areas and that last year saw what he called “most incredible oscillation in real estate” and a “very, very tumultuous year”, we should expect to see decent sales and more normalized sale price increases. December is typically a "boring" month stats-wise as the market tends to die down with people getting into holidays. What we do get however are the stats for the year. This year saw a high total for number of sales reaching coming in just over 92,000 for the GTA, about 2% below 2016's highs of 113,000; the most sales ever seen in TREB's history. The bulk of those sales took place prior to May, after which, the drastic drop in activity and prices took place. Our total for 2017 ranks in the top 4 number of sales over the course of the TREB. For December, the average sale price came in at $735,000 across the GTA ($741,000 in the 416), with 4930 sales total. That's an increase in both the average sale price and sales volume year/year. The average sale price for detached properties in the 416 was $1,250,000 (-2.8% yr/yr). In the 905, the average was $910,000, further echoing the disparity b/w both markets. Semi-detached properties averaged $903,000 (+11.5% yr/yr) and condominiums came in at $532,000 (+14.1% yr/yr) in the 416. Given these numbers, clearly buyers are still unwilling to pay the high prices some sellers still demand for detached properties and are moving to more affordable property types; a trend no doubt to continue into 2018. All properties sold in 27 days or less, which remains a fast market pace. The number of high-end properties (over $2M+) for the month came in at 116, including 7 condominium apartments, so some condos are now inching up to that $2M+ range as well. Toronto's East end seems to remain the strongest area for price and time to sale, with all properties being sold for 100% of asking or more. Other areas of the city are not going for 100% of ask so it’s likely sellers will be pricing properties to sell as opposed to expecting a flood of buyers to pay the big prices we saw at the beginning of 2017. Overall, the data for December is very positive. There is a strong likelihood that the media will report huge drops in prices when January’s numbers come out and may paint a negative picture of the market but that’s only due the the over-inflated prices from the early part of 2017. Here's a handy infographic developed by Chestnut Park's marketing team giving a summary of the December stats. Changes to the Condominium Act in the late part of 2017 introduced the requirement of condominium boards producing a Periodic Information Certificate. This PIC is much like the summary retained in most Status Certificates without the attachments. It provides general information on the property, who the property management for the building is, the number of units leased in the building, directors of the corporation and addresses to contact them. It also gives details regarding insurance amounts for the building along with deductibles and financial Information to get some stance of the financial stability of the corporation, ie. the amount of expenses, liabilities and any foreseen costs coming up, or what the increase to the reserve fund will be going forward. Lastly, it details any legal action or party to judgements the corporation has. This document should be issued every 6 months to condo owners, so if you live in a condominium currently and have yet to receive one, you should contact your property manager to inquire. This is a helpful document for anyone thinking about selling their unit or simply interested in how their building is doing in a general sense. Are you finding these meeting recaps useful? We'd love to hear from you! Feel free to leave a comment below or get in touch directly! Each week, The Glenn Team provide highlights from the weekly CP office meeting to provide a balanced overview of the Toronto and GTA markets and relevant issues affecting real estate markets. Meetings are overseen by Chestnut Park's CEO and Broker of Record, Chris Kapches, LLB, who provides weekly analysis and commentary. Additional input is provided by the CP Toronto office Realtors who give a day to day, real life perspective of the local markets. Chris continues to collect his own stats for the 416 area code, or the City of Toronto proper. We continue to see a rise in the average sale price up to $785,000 for the 416. Inventory remaining low is likely the best indicator for this continuation of an upward trend. All reports from CP agents working in the 905 indicate that things there are worse there however, and in some areas stagnant. TREB's stats, which came out today, indicate a decrease in average sale price across the GTA of about 2% since last November; not surprising given the number of detached properties that sold then as opposed to this November. However, as we've noted in previous posts, this negative variance is one which is shrinking by the month. January's numbers will likely increase this year over year negative variance given prices from the beginning of 2017 but again, it's important to recognize how unsustainable that market was. "We have seen an uptick in demand for ownership housing in the GTA this fall, over and above the regular seasonal trend. Similar to the Greater Vancouver experience, the impact of the Ontario Fair Housing Plan and particularly the foreign buyer tax may be starting to wane. On top of this, it is also possible that the upcoming changes to mortgage lending guidelines, which come into effect in January, have prompted some households to speed up their home buying decision." Lastly, condominiums have continued to make the biggest strides in prices, averaging 16.4% across the GTA. So long as inventory continues to be low, we can expect prices to continue to rise going into 2018. Canada's unemployment stats came out last Friday and are staggeringly low at about 5.9%; the best numbers seen since February 2008. Over the past 12 months, Canada gained 390,000 full-time jobs, with men in the 25 to 54 core-aged group, youths aged 15 to 24 and women aged 55 and older receiving the lion's share of the jobs. Not surprisingly, Ontario led the provinces with 44,000 new jobs created in November, mostly in the wholesale and retail trades in addition to the manufacturing sector. Ontario’s unemployment rate is now at 5.5%, which is the lowest it’s been since 2000. Will this help or hinder the real estate industry? Chris indicated that these numbers could mean a further interest rate hike by the Bank of Canada; something that was already posited in past meetings and many in the mortgage world feel is almost certain in 2018. Last Friday, after the rates were published, the Canadian dollar jump up a cent against the U.S. dollar. Given this information, along with the proposed wage increases scheduled for next year, many economists feel that we're looking at further rate hikes in January. “It certainly firms the idea that there are more near-term hikes than previously anticipated,” said Michael Dolega, senior economist at Toronto-Dominion Bank. The Canadian Real Estate Association is asking the federal government to extends it's policy allowing RRSP contributions to be used as a tax-free downpayment to parents wanting to help their children make a purchase in real estate. Additionally, the association wants the limit for withdrawal to be bumped up to $35,000 from the $25,000 that is currently allowed. Most in the CP office felt this limit could be raised even further given the average selling price across Canada now being up to $550,000. Though that average price is likely more reflective of the high values being seen in Toronto and Vancover, even a $35,000 deposit is only negligible for the purposes of making a down payment. Chris did bring up the fact that many first time home buyers may not have even that much in their RRSPs but that certainly allowing parents to add some of their own RRSP funds to the mix should help, given there is good evidence to show an existing "shadow economy" already at play in the real estate market; ie. parent's giving money to their kids for down-payments. Thomas Davidoff, a professor at UBC's Saunder School of Business said there is no clear answer as whether this policy is good or bad. Davidoff feels this policy could undercut people's retirement savings, would push up housing prices further, and would enable only wealthier families to have greater buying power. Davidoff feels that the government would better serve the market by introducing more taxation on home owners. Darlene Hanley - our resident mortgage expert - said that she's seen this shadow economy in action already. With some families contributing upwards of $200,000 in down payment gifts for their children. While that scenario is likely rare, I feel like it underscores the reality of what wealthier families are already able to do. This policy might better serve families who don't have as much. Whether it hurts their retirement savings is something each family would have to judge for itself. We would love to know your thoughts on this matter. Leave a comment or get in touch directly! 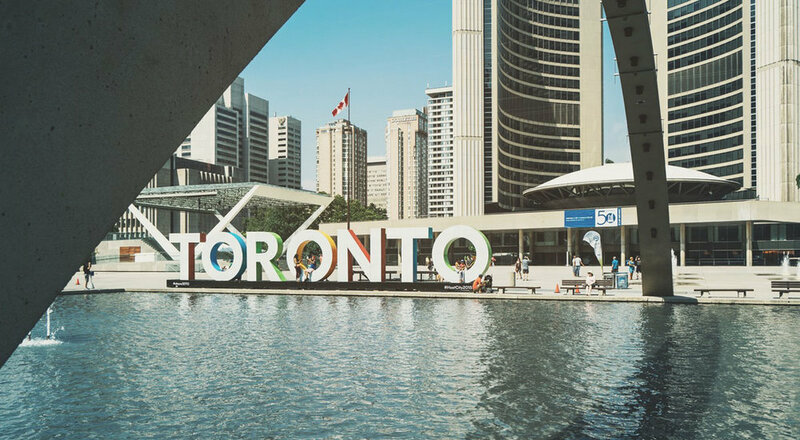 Last Thursday, the City of Toronto announced their new annual budget and among the expected revenues, the municipal Land Transfer Tax is expected to make up almost 10% of the city's earnings for 2018. In total, city manager Peter Wallace is conservatively estimating about $800M to come from the LTT despite what many call a slow down in the housing market. If you've been keeping track with our weekly posts however, I think Mr. Wallace is likely correct. We've been experiencing steady price growth and it seems the same with be true in 2018. It is astonishing however to consider how much home buyers contribute to the infrastructure of this city. There have been more than enough articles being critical or down right angry about the upward trend in housing prices but in realizing how much of that money goes to essential services in the city, you'd expect any commuter or tourist to sing the praises of the Toronto home buyer. The tribunal found that TREB's actions had been in line with anti-competitive practices and hopes that this ruling will open up competition in the digital space to companies like Realosophy or Zillow; based in Seattle. Proponents of the anti-competition viewpoint feel that this data would allow buyers to make a better informed decision prior to seeking the use of a Realtor and would allow realtors and brokerages the ability to publish better sales information; ie. which neighbourhoods are appreciating the fastest. In the U.S., where this data has been available for sometime, the real estate market continues to thrive but we're sure there will be more than a few realtors who aren't happy about the decision. TREB is appealing the ruling in the Supreme Court. Chris' sentiments on the matter were that competition bureau outcomes have had effects on the real estate industry in the past and we still have a thriving marketplace. What he did find offensive is that the media seems to be painting Realtors as being dishonest in how we are using this information; that we would use it to our benefit in obtaining a higher sale price, regardless of the data. We would echo Chris' sentiments and also argue that sellers are just as interested in getting the highest price for their property. That being said, any realtor who uses deceptive practices to build their business will fail at some point. Perhaps we are more honest than most? Again, we would value your feedback on any of the topics mentioned. We try to offer our clients and reader base, the most informed and accurate opinions of the market and of the real estate world in general. Please leave a comment below or get in touch directly. So far for the month, we've had 1,100 sales; half of which are condo apartments! That puts us on track for about 3000 sales by end of month, about 11% down from last year. This might seem bad news, but in fact this negative variance is less than last month's and lesser still the the month previous which is further indication that the market has turned around and has picked up more steam. The 905 hasn't responded as positively unfortunately; it's still off by about 30% year over year. The average sale price in the 416 is tracking slightly lower year over year around $780,000; a 2% increase from last year. Again, though this may seem paltry by comparison to numbers earlier in the year, Chris feels this is the most "sustainable" figure we've seen since January, as 2-3% growth would make for a much more balanced market going into 2018. The media has begun to pick up on this positivity, with some speculating that the new stress test coming Jan. 1, 2018 has some buyers scrambling to get something prior to being assessed at the new stress levels. Others argue that we may be headed back to higher average prices, faster than anticipated due to increased immigration and what accounts to a real rental crisis in the city. Pundits of the aforementioned claim have also used Vancouver's 35% yr/yr price growth as evidence for Toronto's potential price overload, as the Vancouver achieved such highs after a long lull due to foreign buyer's tax rules. Objectors to this theory argue that the new stress test rules along with already increasing interest rates have kept this from happening thus far and will continue to do so into 2018. Unfortunately only time will tell but it's clear that Toronto continues to be on the rebound. Diane Hanley of Hanley Mortgage Group wanted to remind CP agents of how the new stress test will affect buyers. As a reminder this stress test takes the buyer's broker contracted rate and adds 2% or uses the bank posted rate of 4.89% (whichever is greater) to see whether a buyer is capable of maintaining their mortgage payments. Under the new rules, anyone putting down 20% or more on a purchase isn't subject to the test so long as they have mortgage approval and a firm offer in place prior to January 1st, 2018. Anyone doing a refinance must also be approved before Jan. 1st and must be closing on their new purchase within 120 days of the purchase. Finally, anyone purchasing a new construction property can close at anytime but again, must have mortgage approval and a firm deal in pace prior to January 1st, 2018. If you're considering making a purchase and fall into the conventional mortgage (20% or more downpayment) category, it would be wise to consult with your broker. Buyer beware! Another condo project in Toronto, the 5th in the last year, has gone belly up. According to this Financial Post article, the developer Castlepoint Numa cited lengthy delays in obtaining the necessary approvals, building permits and, in turn, financing, as reasons for the halt. Additionally, they stated on their website that "recently, the industry has been experiencing the most significant cost increases in a decade.” That may be true, but it's also true that land value has gone up significantly since the project got underway, it's possible some developers are attempting to reap the benefits of a great market and stick it to the consumer in the process. Some legislators argue that better policies need to be put in place in order to protect consumers, who in many cases are buying their first property and leaving a less than favourable rental property. Unfortunately most developer contracts don't give much power to the buyer and typically can't be modified. Real estate lawyers can be costly and often can't do much either. Until better protection can be put in place for consumers in the form of insurance or fines for developers that go back to the purchasers, there is currently nothing to guarantee a buyer's purchase. The final meeting item focused on the Condominium Authority of Ontario who recently established a Tribunal to address disputes between condo owners, other owners, condo boards and property managers. The Condominium Authority Tribunal (CAT) asks applicants (offended party) to register and attempt resolution with the respondent (offending party) via an online messaging application. This 1st stage: Negotiation, costs the applicant $25. If a resolution is not reached via stage 1, then stage 2: Mediation is entered and for an additional $50, 1 of 15 trained members of the CAT will attempt mediation of the issue. If this doesn't result in a resolution then stage 3: Adjudication is entered for an additional $125, where a different CAT representative will adjudicate the case, much like the courts, to reach a resolution. No indication of fines are addressed on the website and CAO says they are currently only dealing with records disputes, ie. documents that owners have not received from boards or management. The reaction to this in the CP office was decidedly negative and we tend to agree. How a tribunal made up of only 15 members to deal with issues from potentially thousands of aggrieved parties seems paltry. They must assume that most records disputes will be resolved through the system between the two parties. But that leads me to question the necessity of the CAT at all. Couldn't resolutions occur via normal communication channels or in person? Will this actually prove effective or is more money simply going to government bureaucrats? We'd love to know your thoughts!? Please send us an email or leave a comment below. Until next week! A GREAT MARKET... NO, REALLY! The focus of this week's meeting was to focus on the positive. Which is to say, the positive market we are currently experiencing in Toronto. Chris wanted to reenforce this reality by comparing this market to the market in 2011, which at the time was regarded as being a great market. In 2011, TREB stated that "it’s a seller’s market... the results have been above average annual rates of price growth for most homes." At that time, the average sale price for the GTA was only $442,000, average days on market were about 26 and total sales numbers were 7642; very close to sales numbers for this past month. What's changed since 2011? Average sale price is now up to $780,000 (according to TREB's October numbers) and we've had a substantial increase in interest rates coupled with a lot of government legislation. And yet, despite these changes, the average days on market for October 2017 was 23 for the GTA, 3 days fewer than in 2011. Sales numbers are down from last year by about 26%, but compared to the 35% drop we had after April, we're actually slowly reducing that gap. As stated above, there were 7118 sales in the GTA for the month of October, down from around 9000 last year, or about a 26% decline. That number was less dramatic in the 416, declining by only 21% vs. the 29% in the 905 area code. Clearly, the 416 continues to move faster than the GTA, but the pacing is still quite fast for the entire area. Chestnut Park's other on-staff lawyer Richard Steward commented that "comparators are off... every past experience becomes the new norm," meaning that many looking at the Toronto market fail to appreciate how good the market continues to be because of negative media rhetoric and because they are still comparing it to that crazy run from October 2016 to April of this year. Chris thinks the market has now regularized and is in a good place. As another point of comparison, Chris thought it interesting to look at the average days on market for properties in the Manhattan real estate market. The average days on market for this past year in Manhattan was 447! Last year, it was a heady 346 days! Clearly Toronto is not New York and property values in Manhattan far exceed many in Toronto on the whole, but the point here is that even with the "insane" numbers we're seeing in Toronto, properties are still selling in a very short amount of time, relative to major city boroughs like Manhattan, which would indicate that we're still very much in a seller's market. To finish up with discussions of October's statistics, the average sale price for detached properties in the GTA came in at $1,287,000, semi-detached properties were $948,000 on average and condos were $555,000 on average for the GTA. In Toronto's central core, where the majority of condo sales are occurring, the average rises to $620,000. Because of these higher numbers, detached property sales are down by about 1.5% Like the Manhattanites, Toronto buyers seems to becoming more patient and decisive about what they are buying; especially in the highest price point. As mentioned, average days on market came in at 23; Chris still feels that a truly balanced market would see days on market increase to the 90 day mark. Lastly, there were fewer properties over the $2M range selling this October at 208 from the 300 we saw last year. This would help account for the decline in average sale price since last year. TREB indicates inventory levels are around 1.7 months for the GTA and 1.4 months for the 416. Chris feels these numbers are skewed by the market rally since October, as TREB uses a 12 month running average. His numbers would put the 416 closer to 2.5 and the 905 closer to 3 months. Properties in certain areas continue to sell over 100% of asking and in some cases, in less than 18 days. There is little difference in average sale price between eastern and western districts; both being around $740-750,000. Condo inventory continues to be problematically low being less than 1.8 months, with average days on market coming in at 22 days. Clearly condos are still the hottest property on the market. As a final point, we seen quite a few price reductions in many areas of the city and even the GTA. This again would seem to point to buyers becoming more discerning in their purchases. With all of the information we have above, we should really feel good about this current market. We’ve reached a stage where we can look at the market going into 2018. 80,198 total sales for the year were reported at end of October. Chris expects just over 90,000 for all of 2017. If that's the case, this would be 3rd best year of the TREB, so what’s wrong with the market exactly? We'd love to know where you are in the market and how you feel about what's happening. Do you agree with our assessment or have a different opinion? Contact us directly or leave a comment below! As TREB has continued it's stoppage of weekly stats, Chris has continued to generate his own within the City of Toronto (the 416), and interesting things are happening. Up to October 28th, total properties sold for the month are at 2653; last years numbers for October were 3715. Projecting to the end of October for 2017, we expect just under 3000 sales, which means there will be a negative variance of 20% year over year. That may seem like bad news but that variance is up from the -29% we saw in September, so the gap is lessening. In addition to number of sales, the average sale price for each of last 3 weeks has been $833,000, $826,000 and last weeks average of $825,000. The total for October should be about $828,000, an increase of 6%. Chris' opinion that is there is “essentially a stabilization of the market." So long as we can stay on this trajectory, we should be good going into 2018. Open house reports from Toronto CP agents indicate a bit of a mixed bag, with many open houses in the central core garnering lots of visitors and the same buyers at various open houses listed in similar price ranges. Agents also reported seeing more buyers who had already sold their property; practically the opposite situation from months prior to April's downturn. This would seem to indicate buyers are being much more cautious about where and what they're buying. Despite sales being down, the average days on market for condos was 22. Last year that number was closer to 25. This would give credence to the market accelerating and as noted, there is still a supply issue. The average sale price increased by almost 25% from $415,000 in 2016 to $510,000 for the GTA. Of the 5684 sales in the GTA, almost 65% took place in the 416. Additionally, the average sale price in the 416 is higher at $542,000. The central district accounted for 66% of all condo sales in the 416 and had an even greater average sale price at $603,000. Toronto continues to be in a rental crisis, with the average rent in the city going up by 11% year over year. Renters can expect to pay $1,976 on average for a 1 bedroom apartment and $1,672 for a bachelor. We, as well as other continue to question the Liberal governments housing initiatives based on these numbers. There is clearly no product available and things appear as though they'll only get worse for renters going into 2018. In more positive news, the Tarion Warranty Corporation announced that effective January 1st, 2018, it will be increasing it's coverage on deposits for new construction of free-hold properties from $40,000 to 10% of the purchase price. The insurance will go from a minimum of $60,000 to a maximum of $100,000. Unfortunately, deposits for condominium apartments will still only be insured up to the $40,000 mark. We guess this is because most new construction for condos will fall into the $400-500,000 range. The CRA has announced that it will now force the disclosure of assignment sales from developers. In the past, there was no way for CRA to know an assignment took place as it was a privacy issue. The CRA is now taking the position that the profit, or "lift" as it's commonly referred to, from the assignment sale will not be a capital gain but instead income. Additionally, anyone selling an assignment who doesn't declare the income and is subsequently found to have done so, will have to pay tax penalties. This means we'll likely see fewer assignments going forward, and more sales going to so-called "end-users"; where buyers intend to live in the unit. As investors are less likely to purchase units for the purposes of realizing gains prior or just after incorporation of the condo. This is potentially positive news given the inventory issues mentioned above. NEW ZEALAND IS FOR NEW ZEALANDERS! The new New Zealand government has announced it will ban foreign buyers from buying property of any kind. No non-residents may purchase property. The rationale here is based on low interest rates, limited housing stock and immigration rising causing housing prices to have been pushed up. Sound familiar? This is a strikingly similar situation to what's happening in Toronto. This news comes after the latest election of a new government in NZ, who feels that overseas buyers are putting too much pressure on infrastructure and housing prices. Chinese buyers account for the largest percentage of foreign buyers. Average sale prices were up 10.4% in most cities and 18.1% in Wellington (the country's capital). The average sale price for in Auckland is now at $1,000,000, about $881,307 Canadian. Toronto's average as mentioned is now about $828,000. With all the same pressures going on here, is this what's next for Toronto? Prices in the 905 were much less dramatic however, with detached houses only going up by less than 1%. Sales volumes were down by 35% across the GTA, which seems like a high number but put into perspective, those numbers are coming from very high volumes seen in 2016. 61% of the sales that took place in September came from the 416 however, which also had less inventory than the 905, so it should be expected for prices to continue to climb going into 2018. As we've mentioned, the psychology of the market may be just as important as the stats themselves, and media reports could go a long way to see this switch in the market's thinking. Chris cited this article from the Globe and Mail which, among some points already mentioned, discusses buyers coming back to the market now after having perceived the downturn to be over. Articles like this will likely cause buyers to promptly return to the market and could cause a dramatic uptick in prices yet again. Of further concern given all of these numbers and trends is that it's likely that OFSI will move forward with the new stress test rules. If you're considering buying in the 416, especially if a condo is the product you're after, we would urge you to get started today! Getting perspective on whether the market is balanced or not can be challenging. TREB using a 12 month moving average for month's of inventory -where balance is closer to 1.5 months- to determine whether the market is overheated or not. Chris prefers to use a standard average; where 3.9 months would be considered balanced or heathy. Despite how it's calculated, at the beginning of October, there were about 19,000 properties on the market, giving the 416 about 1.4 months of inventory and the 905 1.5 months. That's 17% more than last October's 11,000 but is still about 1000 listings off a healthier market in Chris' opinion. As we approach the end of year, we’ll be looking at overall sales be around 80-88,000. This is consistent with period b/w 2009-2013 before we saw numbers in the hundreds of thousands. Traditionally, Realtors and the public always felt there were better deals to be had in Toronto East end, but that seems to be less and less true, at least in the case of semi-detached properties. In the Eastern districts, all sales for the month of September came in at 104% of asking with an average of 10 days on the market. The average sale price for semi-detached properties in the East end was $872,326, vs. the Western districts which averaged $775,663. However, the average sale price for detached properties, which have great prevalence in the West, was $1,015,711 vs. $961,805 in the East. So clearly it's currently better to go West to buy a semi-detached property currently. Contrast that with condo apartments with sales prices on average being about $50,000 less on the East end than the West. For further contrast, the Central districts saw an average sale price of $615,654 for condo apartments. News regarding how the Ontario government will treat instances of multiple representation (where one Realtor represents both parties in a transaction) came back from OREA. The decision will keep in place the existing rules for how Realtors working with both sides to a real estate transaction are defined. Chris, OREA and most Realtors and brokerages see this as a win for both Realtors and the public. The alternative would have required that a second Realtor represent one side in the transaction so as to avoid potential conflicts of interest. However, that scenario could give way to Realtor alliances and potentially fewer buyers for those buying or selling in smaller, localized markets. The new legislation will allow one Realtor to represent both parties so long as informed consent is given on the part of the buyer and seller. It is expected that OREA will draft new forms to give consent in transactions requiring multiple representation. Do you feel like this was the right decision? We'd love to hear your comments! Each week, The Glenn Team provide highlights from the weekly CP office meeting to provide a blanced overview of the Toronto and GTA markets and relevant issues affecting real estate markets. Meetings are overseen by Chestnut Park's CEO and Broker of Record, Chris Kapches, LLB, who provides weekly analysis and commentary. Additional input is provided by the CP Toronto office Realtors who give a day to day, real life perspective of the local markets. This week's analysis of the market parallels much of what was covered in last week's post. However, there is one central theme that Chris drew upon concerning the housing market in Canada as a whole, and how Toronto and it's various districts mirrors it. As evidenced in the chart below, we are finally getting evidence of a plateau in the GTA market, and there is an expectation that sales numbers and values will begin to climb by the end of September. The year over year negative variance is beginning to decline indicating volume is stabilizing. There is a wide range of activity between various districts in both the 416 and the 905, with the average sale price down by about 1.2%. Chris feels this is due in large part to fewer detached properties in the $2M+ range. However, certain areas of the city, ie. E01, E02, and E03 have properties still selling over 100% of ask (ignoring any price discrepancies) with average days on market around the 14 day mark. The majority of sales in August were semi-detached (up 15.4% yr/yr) and condo apartments (up 21% yr/yr). Looking to the 905 districts, we see a decline in volume of almost 42% which also likely accounts for a drop in average price through the GTA. For both districts, the months of inventory (healthy around 3 months) is still quite low, being around 1.3 months. The sales to list ratio around 64.4% in the 416 as opposed to just under 59% in the 905 means that the 416 is moving faster and holding it's value better than in the 905. Another shocking stat to be aware of is the average sale price for condominium apartments, which just broke the $600,000 mark at $600,781 in August. Clearly the high demand for a more affordable product has made it less affordable overall. With supply levels being drastically low, we should expect this trend to continue unless some new inventory comes up soon. For some perspective, there are about half the number of condos currently listed as a year ago, down from around the 5000 mark. The big take away from all of this information is that Toronto appears to be on the rebound (though we'll have a clearer idea by the end of September), following suit to cities like Vancouver and Montreal. While Montreal hasn't seen the generous gains of the Toronto market, sales prices have been rising about 3% yr/yr and Vancouver is showing big gains in both volume and sales price (22.3% and 9.4% respectively). Economists point to the same factors for all 3 cities; job creation, consumer confidence and migration. All things being relatively equal, we should expect the Toronto market to be headed higher once the psychological effect of the new rental rules and tax legislation wears off. The bank of Canada's rate hike may play into that equation somewhat but should only affect most mortgages by about 2% on average. For more clarification on any of the above information, please get in touch! theglennteam@chestnutpark.com or 416-925-9191.